Here are a few more shots of the fog from Bolivar. 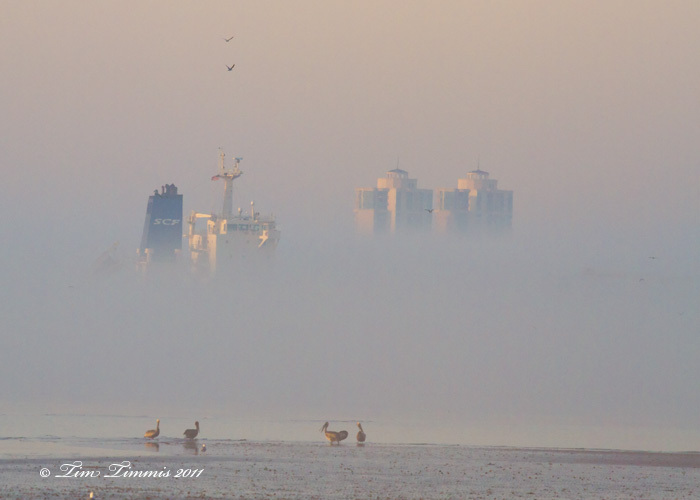 After the sunrise shots, you could see the tops of the Galveston buildings stick up through the fog along with some ships coming into port. This entry was posted on February 28, 2011 by Tim Timmis. It was filed under Birds and was tagged with Great Blue Heron.